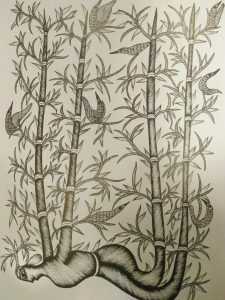 When an art enthusiast decided to explore the origins of bamboo in the traditional folk art of India, she was enthralled by the multitude of stories that exist. Minhazz Majumdar, an art curator by profession, was assigned the task of documenting the folk stories dealing with bamboo under an innovative project launched by the National Mission on Bamboo Applications (NMBA) in 2011. NMBA is a technology initiative of the Department of Science and Technology (DST), Government of India for the growth, enlargement and development of the bamboo sector in the country. As India’s premier agency concerned with the promotion of eco-friendly bamboo in India, NMBA undertakes a variety of capacity building measures to boost new usages of bamboo and publishes manuals and books on various aspects of bamboo usage. There are many factors inhibiting the usage of bamboo in India, due mainly to lack of knowledge about its properties and the widespread stigma of bamboo being dubbed “poor man’s timber’. NMBA’s bamboo folk stories project aims to “create a better understanding of the linkage of bamboo with humankind”, by understanding the social and cultural relevance bamboo has for the many tribal folk artists using a lot of bamboo elements in their paintings/art. During her research she found out that there are various myths of origin about bamboo, and multiple stories related to bamboo exist in every culture across the length and breadth of India. Given India’s diverse folk and tribal cultures, these stories have been told and retold so many times that they have become part of the cultural identity of communities and tribes. The two books, titled The Bamboo Maiden and Durva’s Bamboo Forest, offer a glimpse into the folk and tribal culture of India with its wealth of knowledge. The Bamboo Maiden comes from the Gond tribe from central India while Durva’s Bamboo Forest is from the Madhubani folk tradition from eastern India. 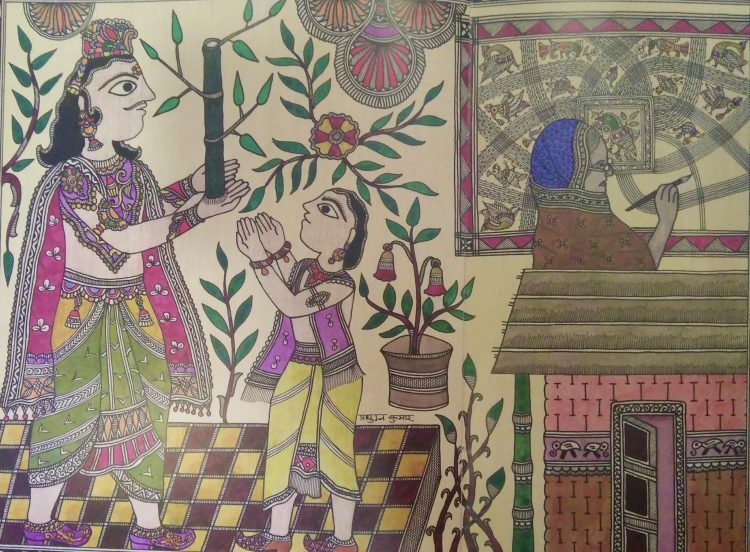 The story of Durva’s Bamboo Forest has been beautifully depicted by award-winning Madhubani artist Pradyumna Kumar, who has pulled out all stops to illustrate this story with lavish Madhubani paintings, creating art-works that engage one fully. Madhubani art was originally the private ritualistic art painted on walls by women in the region of eastern India bordering Nepal. A drought in the late 1960s resulted in the artists being encouraged to make art works for sale and thus began a tradition of working on paper. The second book, The Bamboo Maiden or Bassein Kanya, is a folk story illustrated by Mangru Uike, a young and upcoming Gond artist. Through his black and white illustrations, Uike has attempted to tell how the Gonds, one of the oldest tribes in the world, revere bamboo as the Bamboo Maiden who is pure and benefits all of humanity. 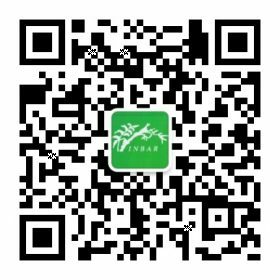 One thing is clear: its trade value and environmental benefits aside, bamboo is a key part of culture.